If you are in need of help from a drywall expert, do not hesitate to call us at Drywall Repair Montebello. We have trained technicians who are always ready to assist when you need help with your walls and ceilings. We can resolve all issues, as we have the best solutions and the most advanced tools and equipment in the industry. If you are thinking of replacing your wall because of moisture damages or cracks, call us. We will be there for you right away. We can schedule your appointment at your convenience and answer all your queries. 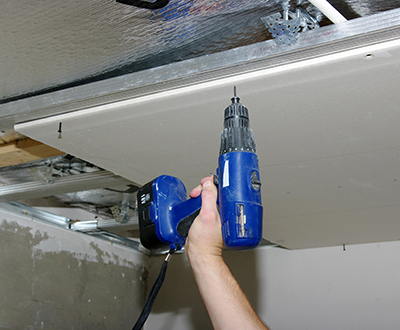 We guarantee complete resolution to your drywall problems using safe and effective methods. You can call us any time. In California, we are the leading provider of high quality drywall repair and installation services. You know that you are in good hands when you decide to hire us to complete your repair project. Our established company is in demand in California because of our outstanding performance in providing drywall repair services. We all have enough experience in installation and repair because we have been in the business for many years. We are available to serve clients any time of the day. Our drywall contractor uses prime quality coatings for drywall texturing, replaces and installs drywalls with accuracy, and repairs problems efficaciously.